British nightclub which refuses black women to enter their posted a new campaign featuring four black models on twitter. 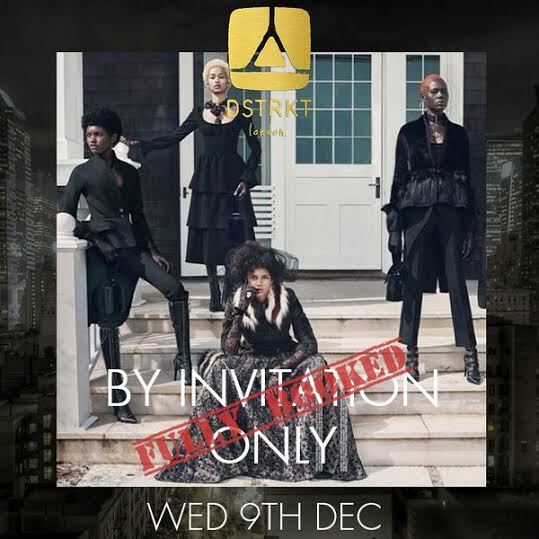 DSTRKT, a London celebrity nightclub that has been described as racist and discriminatory after they refused to let a group of young black women enter the venue deeming them “too fat” and “too dark” today Wednesday, December 9, posted a new campaign featuring four black models on twitter. The new campaign, advertising club night By Invitation Only, has been regarded as another attempt at reclaiming the support of black clubgoers by vlogger Lin Mei, who was also in the party turned away by the club. Next articleRussia considering using unclear on ISIS?